Done on 9 x 12 mixed media paper with acrylics, Faber Castell Pitt pens and brush pens, Faber Castell Gel Sticks, gesso and gel medium. This wasn’t what I had in mind when I started this. Totally different and I really like her. She began to develop when I added the collar lines to her neck. The words were a spontaneous idea that I went with. 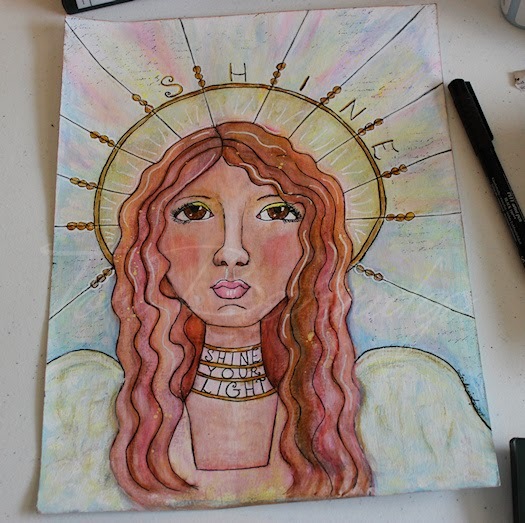 Soon radiating lines begged to be drawn from her head and the halo was added. Her wings were added last. 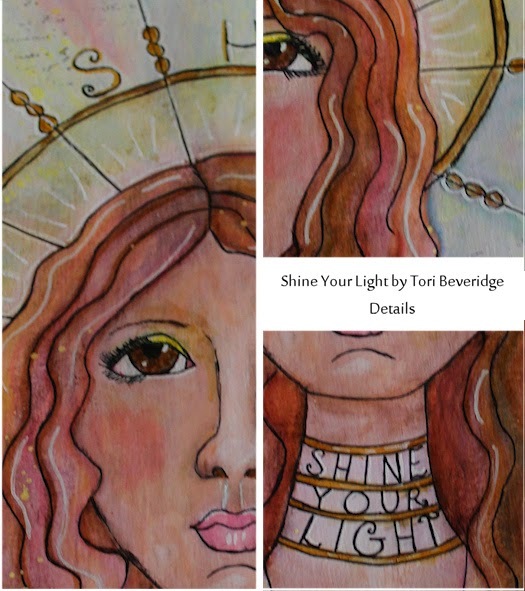 Hope you enjoy her and her message to go out and “Shine Your Light”. P.S. Sorry for the slightly fuzzy photos. I couldn’t get a good scan; the colors weren’t true. If anyone has or knows of a good scanner, I’d love to hear about it. 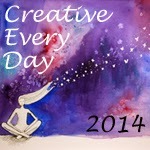 Posted in Creative Every Day, mixed media, mixed medium, motivational art, Tori Beveridge and tagged angel, angel art, angel painting, art, faith, inspirational, painting, religious art, spiritual art, Tori B.